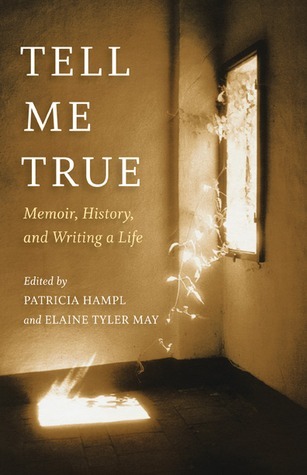 Tell Me True: Memoir, History, and Writing a Life, edited by Patricia Hampl and Elaine Tyler May, is a collection of fourteen essays by people who dance in the no-man’s-land between History and Memoir. 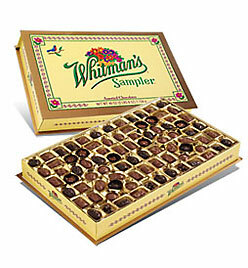 The fictional character Forrest Gump said, “Life is like a box of chocolates. You never know what you’re gonna get,” and this collection is like that. Some are going to be truffleicious and some are going to turn out to be that weird fake cherry cordial flavor. Contributors include Andre Aciman, Matt Becker, June Cross, Carlos Eire, Helen Epstein, Samuel G Freedman, Patricia Hampl, Fenton Johnson, Alice Kaplan, Annette Kobak, Michael MacDonald, Elaine Tyler May, Cheri Register, and D. J. Waldie. Each chapter begins with an excerpt from the author’s memoir, followed by an essay musing on some aspect of writing creative nonfiction. This makes Tell Me True a useful sampler to guide your memoir reading list: if you like the flavor of the excerpt, make a mental note to get the book. The book came about as a result of a 2007 University of Minnesota conference called ‘Who’s Got the Story–Memoir as History/History as Memoir.’ As a collection, it is necessarily uneven–just as somewhere there’s somebody who goes through the Whitman’s box hoping to find the cherry cordial, somebody is going to love essays in Tell Me True that left me cold. I found myself most drawn to the chapters by the editors of the book, memoirist Patricia Hampl and American Studies professor Elaine Tyler May, and chapters by Cheri Register and Helen Epstein. Elaine Tyler May, a historian by training, mines court records and other public documents to find mini-memoirs which she compiles into social histories. Her feminist perspective informs “Confessions of a Memoir Thief,” paired with an excerpt from Homeward Bound: American Families in the Cold War Era. At the end of the day, Tell Me True falls short of delivering an experience like I imagine attending the original U. of Minnesota conference was. I so badly wanted to raise my hand, chime in, or at least hear Q&A between the audience and the panelists. Reading one essay after the other was too much like eating a whole box of chocolates. Tell Me True would work splendidly as a text for a memoir writers’ discussion group. Each bon bon was tasty; each left me eager for more, but hungrier still for connection with other memoir writers with whom to discuss it.